Requesting articles just got easier! 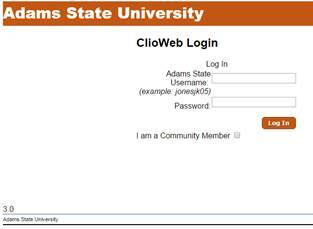 Go ahead and login using your Adams State login information (whatever you use for Blackboard or for your Adams State email address). From there, you’ll be asked to enter your contact information. Here’s where it just got easier: this will be the only time you ever have to enter your contact information. No more punching it in for every request! That’s worth celebrating! Now your personal information is saved, your article will be emailed to you, and you can track your requests in the “View Your Requests” section of your account. In addition to the thousands of articles we already provide access to, the Nielsen Library can borrow virtually any article on earth from another library on your behalf through a service called Interlibrary Loan. FOR FREE! If you just have a citation for an article we don’t have, just click “Request Materials” in the black box on the upper-right of the Nielsen Library home page. When you request an article, it typically just takes a day or two to get an electronic version (though one week is not unusual, so do your research early! ).